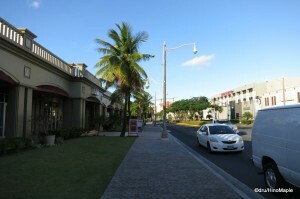 Guam is a small island and getting around the island is not a difficult task. With temperatures reaching 30C at midday it is not the easiest place to walk around but with the ocean breeze in many areas it is not so difficult to walk to places. I spent the first couple days walking around my hotel before venturing onto the bus system. It was not an easy system to understand and understanding how the city is laid out is very important. There are several methods of getting around and sometimes they are cheap and sometimes they are expensive. If you speak English, finding a method to get around on the tourist buses is NOT easy. I had an easier time trying to understand the Japanese and often found the information to be conflicting. I really wish they made a better effort to help English speakers but Guam’s major tourists are Japanese with a growing Korean contingent and a strong Russian contingent as well. I took a taxi several times while on Guam and they aren’t cheap. 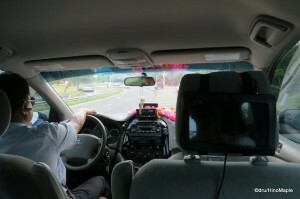 I took a taxi to and from the airport as well as returning to my hotel from the Micronesia Mall. The prices they list as an estimate is often less than what you pay and doesn’t include tip. I estimated that the suggested price was about 10% less than the final fare, but that is probably due to waiting in traffic, and then you have to add a tip. I averaged over $20 per fare and each trip was about 10 minutes. Definitely not a cheap option but at least it was convenient. If you need to get around at your schedule, you had better take a taxi. Do note that the drivers were all pretty nice and they make sure you know the average costs of the fare before departing. There is also one more tip that may or may not work for you. I did hear and read that the Miki taxi service offers free trips to the DFS Galleria. I never tried this out, even though my hotel was next to the Galleria, but if you do try it out, please let me know how this works. The Red Guahan Shuttle is everywhere. You can see them plying the streets of Guam all the time. They have several lines but the most popular is the Tumon Shuttle. It runs the main strip between hotels at the far south, such as the Sheraton, all the way north to the Nikko Hotel. 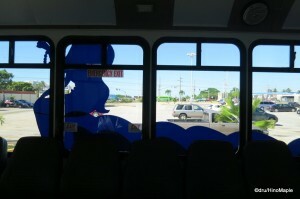 I would say the terminus for this bus is the Guam Premier Outlets and the Micronesia Mall. One trip costs $4 but you can get multi day passes as well. They have information services at several locations too. You can easily ask for help at the Micronesia Mall, the DFS Galleria, and at the Guam Premier Outlets. The reason the Red Guahan is so popular is because they use a trolley like bus for most of the routes and they are open air buses. They also go to more places as well. 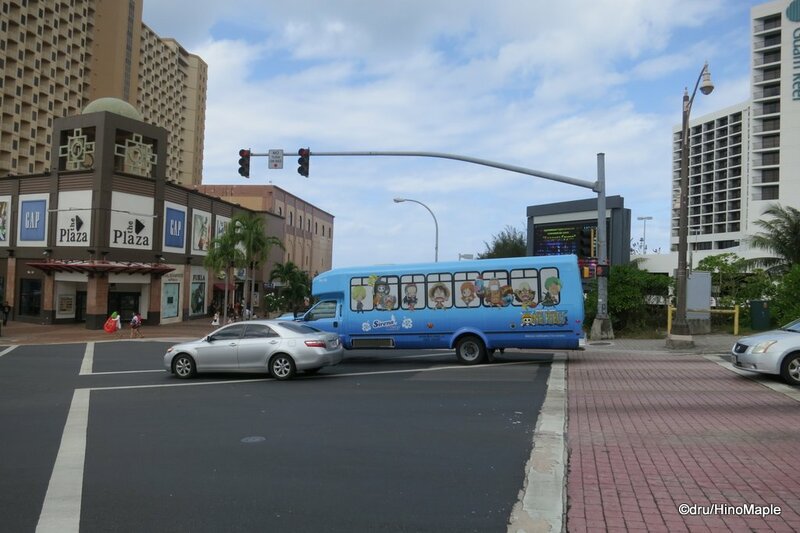 The other routes include the “shopping route” which is a shuttle that goes between Guam Premier Outlets and the Micronesia Mall with a stop in between at Kmart. There are also shuttles between Kmart and the DFS Galleria and a special shuttle between the Leo Palace Resorts and the Guam Premier Outlets. The other reason the Red Guahan Shuttle is so popular is that they are the only bus that I know of that goes to Hagatna and the Chamorro Village. DFS Galleria and Kmart Shuttle – Direct service between these two points. 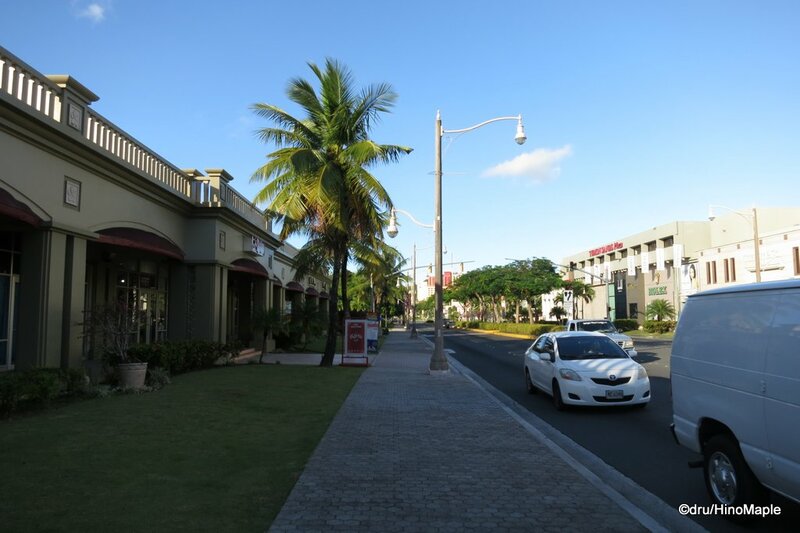 Guam Premier Outlets and Leo Palace Resort – Shuttle service between these two points. Two Lover’s Point Shuttle – A shuttle between the DFS Galleria and Micronesia Mall going to the Two Lover’s Point. Hagatna Chamorro Bus – Direct service between either the DFS Galleria or the Guam Premier Outlets to the Chamorro Village in Hagatna. Note: There are a few other routes but they aren’t very important. Sirena is the main competition to the Red Guahan Shuttle. Their main drawback is the lack of routes but they make up for it with costs and comfort. Their shuttle buses are simple airport style buses with transverse seating and loud music blaring. I used this for one day because I had a free pass when I booked my hotel from HIS. They gave us a 1 day pass which I used a lot. They only have 3 routes compared to the Red Guahan Shuttle but they charge a little less ($3). If you don’t plan to go anywhere far, like Hagatna, then you should be fine. The buses are distinctive enough that you can see them easily, although the Red Guahan Shuttles are the easiest to spot. Looking at their signage, you can tell where they are going. The red line is the Hotel Route that travels the same routes as the Tumon Shuttle of the Red Guahan Shuttle. 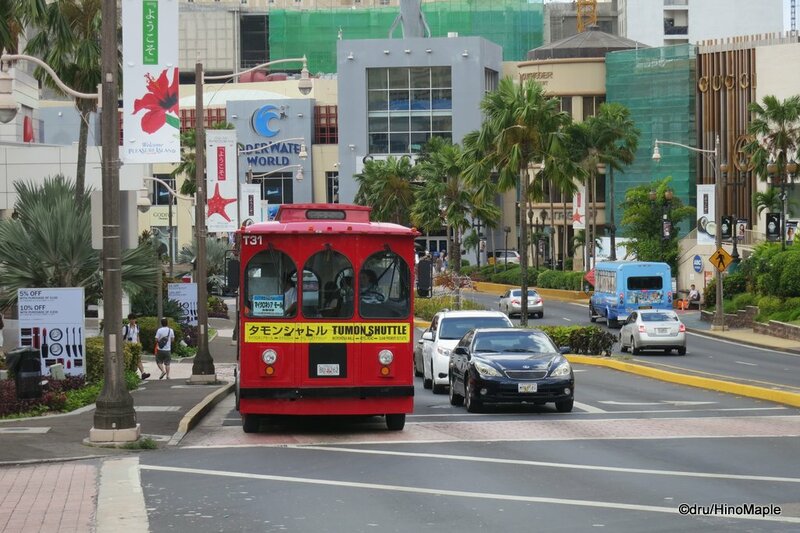 It stops at all major hotels and runs the exact same route as the Tumon Shuttle with the exact same stops. There are a few differences as to where they stop in each place but they do stop at the same places. The Shopping route is exactly the same as well with only the location of the bus stops being different. Finally they also have a Kmart and DFS Galleria shuttle. If you don’t plan to do a lot of travelling, the Sirena bus system is better value but if you do plan to go farther, the Red Guahan is better. It depends on what you plan to do. Renting a car is pretty simple but I didn’t bother once I found out how much insurance costs. The cost to rent a car is very cheap. You can get a car for a full day for about $40, and less if you get it for only 3 hours or so. The problem lies in the insurance as insurance would have been almost $70 a day! I was looking at some pamphlets but was shocked to see how much insurance was. I don’t like to take chances and I always get insurance wherever I go. I get full coverage because you never know but I didn’t ask for a quote so I don’t know if the $70 was for full coverage for a whole day or you get different coverage at other times. I do know that you can rent a car in Guam with just a Japanese driver’s license and you don’t need an IDP. Driving in Guam seems pretty straight forward and people are laid back enough that you shouldn’t have to worry about it. 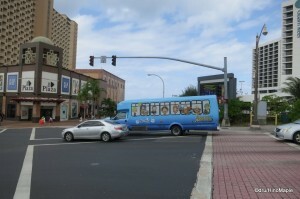 Getting around Guam is not so difficult but it is difficult to get information in English. I found it much easier to get information in Japanese; I found it hard to believe that I was in an American territory! I can understand why they don’t have a lot of information in English but it does make things very difficult for people like me. 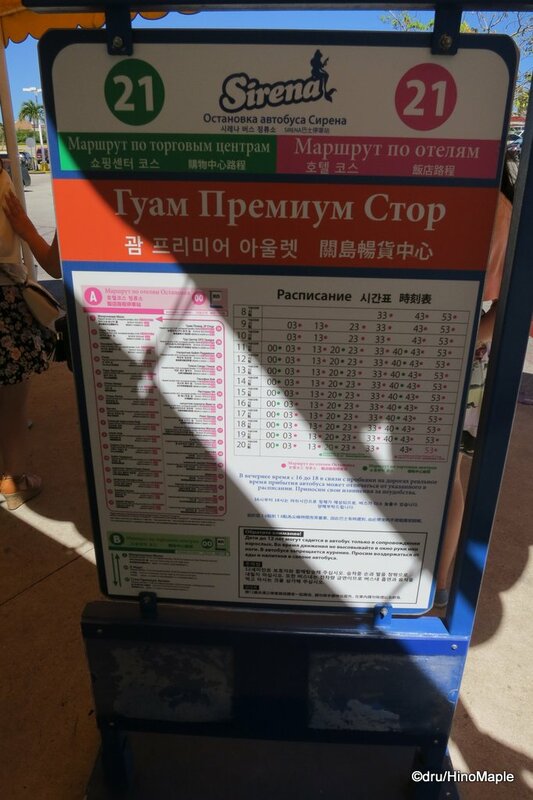 They even had more information on what you can do in Korean and Russian as well. 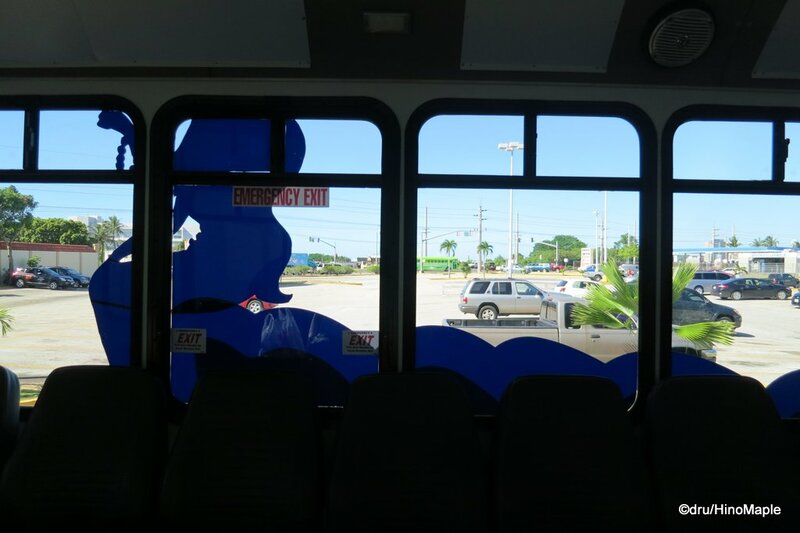 In fact one bus stop sign for the Sirena bus service at the Guam Premier Outlets has no information in English, aside from the bus stop name. It was annoying when the Saviour was able to help me more than I could have done on my own in English, on an island where the main method of communication is English. Then again, most people who live on Guam have cars and I’m sure they don’t really need to use the bus services. Actually, there isn’t any information here as there really isn’t any online. This entry was posted in Travel, USA and tagged DFS Galleria, DFS Galleria Kmart Shuttle, Guahan, Guahan Shuttle, Guam, Guam Premier Outlets, Hagatna, Kmart, Leo Palace Resorts, Red Guahan, Red Guahan Shuttle, Rent-a-car, Shopping Shuttle, Sirena, Sirena Bus, taxi, Tumon, Tumon Bay, Tumon Shuttle, Two Lover's Point by Dru. Bookmark the permalink. Also, if the Saviour decides to buy a LOT of stuff, the bus is necessary, although I will admit that I bought more things. Big feet = shoe shopping in America. 30 degrees ain’t no excuse. Cute girls? Well, OK, I’ll concede that one. I think so. When it comes to the annual total, she buys more. I just can’t buy shoes in Japan. No ifs ands or buts about it. I’m bigfoot. Simple web search says the average temp is 26C in March. Sorry, but I don’t live in Guam so I couldn’t tell you what it is like, but I assume it is really nice.